Not all ice cream for dogs has to be sweet, because we know that some dogs don't have much of a sweet tooth. So, for those who don't, we're offering a few meaty versions of dog ice cream. If your dog has a taste for meat and sweets, you'll want to make the sweet dog ice cream recipes to fulfill your dogs taste buds. If you have a dog like mine, you could search the whole house on a hot day, and not know where he was. Then, right before you gave up the search, you'd remember - It's a hot day and he has long fur. So, you'd pull back the shower curtain, and there he was, sprawled out in the cool bathtub! Of all of the ways to keep your dog cool, this is the one his taste buds will enjoy the most! So, give some or all of these meaty ice cream for dogs recipes a try, your dog will thank you! With all of the ideas below, be sure to start with low or no sodium broth. For your basic broth ice cubes, mix equal parts water and broth, (about 1/2 cup each), and pour into an ice cube tray. Freeze until solid and serve. Chicken or Beef - Small pieces of plain cooked chicken or beef can be added to each ice cube cup. What a delicious surprise once the broth is licked away! Other Meats - Don't think you are limited to chicken or beef. You can also add tuna. Blend together 1/2 cup of low sodium broth (chicken or beef) to a 6 oz can of tuna in water. Add one tablespoon of water at a time if needed to help the blender combine the ingredients. Pour into two ice cube trays and freeze until solid. Veggies - Your dogs' favorite veggie like broccoli, green beans or carrots can be added. Or, add a couple to each cup. 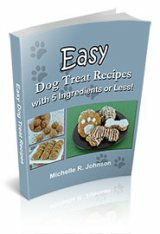 Homemade Dog Treats - You can stick in small pieces homemade dog treats (or store bought), too. Don't worry if some of the treat pokes out of each cup. 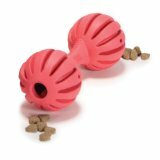 It will encourage your dog to get to the treat that much quicker. It will also give him something to hold on to if he chooses to carry the treat to another location. 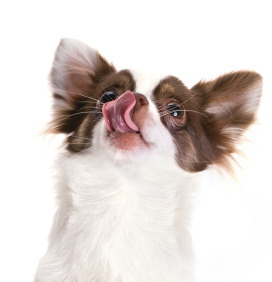 Dry or Wet Dog Food - Place one or two pieces of dry dog food in each cup and freeze. Or, for a really fancy treat, mix in 1/4 cup of wet food into 1/3 cup each of water and your choice of beef or chicken broth. Homemade cold dog treats will last about 2 months in the freezer. 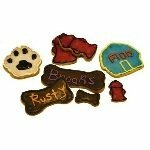 For more information regarding how to store homemade dog treats check out our tips and techniques. Clean Up - These, as well as other dog ice creams, are best enjoyed outdoors. It helps make clean up a snap. If your dog is enjoying a cold treat on a cold day, it would be best to restrict her to the kitchen while she's licking away. 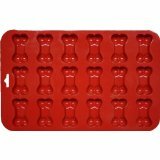 Ice Cube Trays - You'll want to clearly mark the ice cube trays used just for your dog treat recipes. 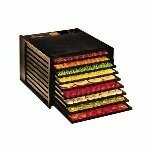 You can use a permanent marker on the outside of the tray, or use a different color than the human ice trays for even more clarity. 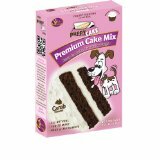 Cupcake Liners - You can also use cupcake liners to freeze the ice cream for dogs mixtures. Place them on a cookie sheet, fill with the desired recipe and freeze. When they're ready, thaw at room temperature for a few minutes. Then peel away the paper and serve to your dog. Muffin Pans - If you have a large breed dog, or it's very hot, it's a good idea to use a muffin pan for your dog ice cream recipes. 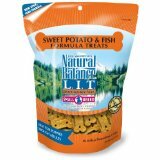 You'll get a larger treat, which will satisfy a larger dog or stay frozen longer in high temperatures. There are many ways to help your dog beat the heat. 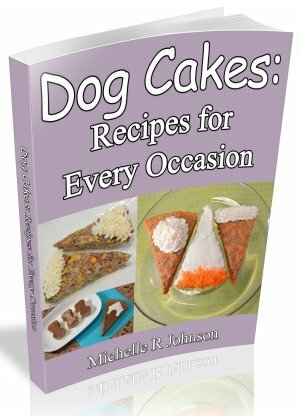 These ice cream for dogs recipes are just a few ways. But, we're sure the many meaty varieties will cool off and please any meat loving dog.